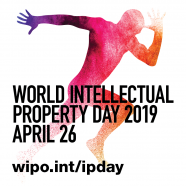 On 25 April 2019 the Chair of IP Law, in cooperation with Innovus, will celebrate World IP Day with a public seminar on the theme Reach for Gold: IP and Sport. 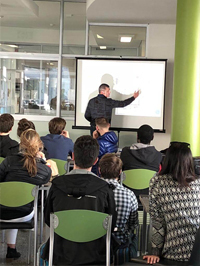 The seminar will include discussions on the sports nutrition, cutting-edge technologies in sports, high-performance technology support, sport concussion diagnosis and the rise of e-sports. The event will allow attendees to encounter a variety of groundbreaking innovations and is followed by a cocktail reception. The event is sponsored by IP law firms Spoor & Fisher and Von Seidels. Attendance is free and open to the public, subject to RSVP. Venue: Stellenbosch Institute for Advanced Studies (STIAS), 10 Marais Street, Stellenbosch. See Location. 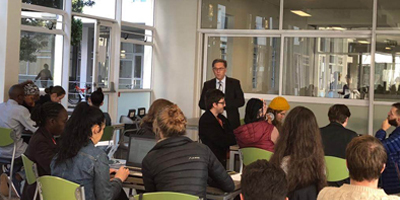 LaunchLab’s Student IdeaSmash is intended primarily to be for early-stage businesses concepts, prototypes and businesses from SU students looking to validate their concepts or improve their technology offering to their market and gain traction for the solution they are currently working on. Finalists get to pitch their ideas to a panel of judges and stand a chance of winning a cash prize to help take their idea further. 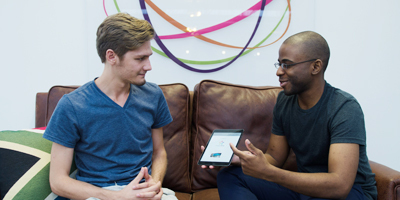 The Stellenbosch University Hackathon is a Hackathon is a collaboration between Innovus, The Launchlab and Industry. 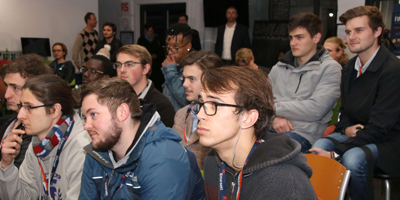 The hackathon gets talented student programmers, designers, data scientists, builders and engineers to come together to share creatives ideas and learn from industry to build and pitch an innovative solution to an industry-relevant problem… in two days. More details on how to enter to be released soon. 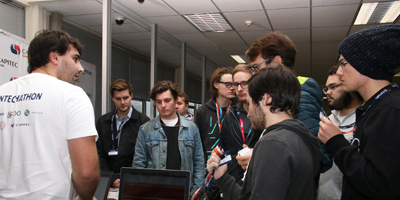 SEW2019 is for students who want to become employers, rather than employees. Here’s your chance to learn more about entrepreneurship and get an introduction to entrepreneurship skills. 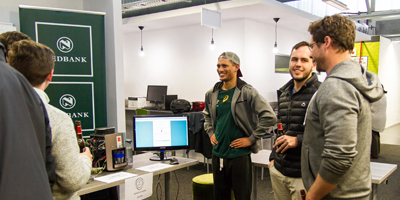 Look out for Innovus and the LaunchLab in the Neelsie and other places around campus during this week to find out more about what it takes to become the an entrepreneur and the rewards and challenges associated. 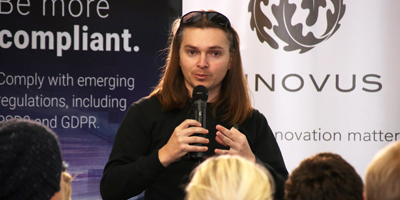 If you are a Stellenbosch University student and have a concept that you think is worthy of sharing and need some help to validate it or possibly take it further, please remember that Innovus hosts Pitching Sessions on the last Friday of every month. Come and throw your idea up in front of us, and let’s see what sticks! 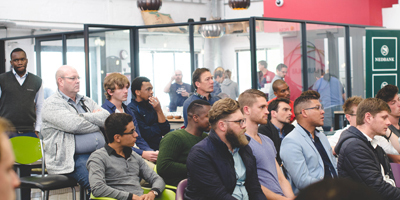 Speak to your SRC entrepreneurship and innovation rep, Marine Bothma (mbothma@sun.ac.za), to find out how you can book a spot at the next pitching session. A ‘bootcamp’ is where, traditionally, you go to have the basics drilled into you. 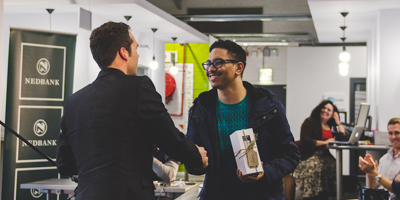 Our entrepreneurial bootcamp is no different. 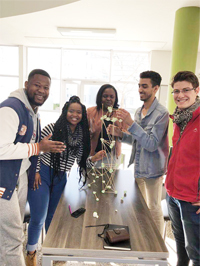 It was designed to ensure that budding student entrepreneurs understand the fundamentals of business-building, and how to apply them effectively. 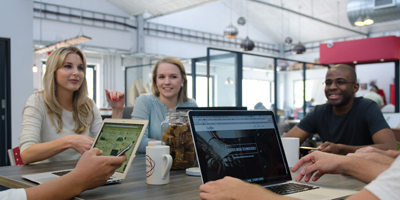 This 2-day workshop runs entrepreneurs-to-be through two of the key success tools, the Business Model Canvas and the Growth Wheel, and shares first-hand experiences from entrepreneurs on the life and challenges of growing something out of nothing.